This post was originally posted on May 2nd, at VessyTash.com. “Vessy, why don’t you interview the founders?” asked my friend Velina Getova on the phone. I was at the end of the hiring process with Enhancv and asked her for her experience working with its founders as advisor of the startup over the last couple of years. During the last 10 years, Velina and I had many experiences together. We studied at the same university. We were both part of the university radio station. One point we also worked in the same tech company back in Bulgaria. We are quite different as individuals. Yet, we share the same values. When I asked her for advice, I knew I could trust her opinion on whether I was a good culture fit for Enhancv, and vice versa. I followed her advice. I requested 30min interview with each of the founders and got them! What are you struggling with? That would allow me to understand if they are aware of their weaknesses and problems. Why do you think you need me? That would help me understand what they expect from me, where they expect impact from me; that was to help me re-adjust my own expectations, if needed, in regards to quality of work, work styles, values, etc. How well do you think you’re doing with X? I’d pick an area that I thought they were not doing well (that they hadn’t mentioned), so I could give them negative feedback to observe how they deal with it. Actually collaborative environment: they were happy to hear that I disagreed with them. We wouldn’t have been able to discuss things or collaborate, if they were unhappy that I voice my opinions. Authentic communication: first, they were happy to be interviewed by me. But more importantly they were comfortable to say what they know and don’t know. They didn’t pretend. Working as equals: they valued my expertise and saw it as an opportunity to learn from me. That meant we could learn from each other. I believe that those 3 things allowed me to flourish at Enhancv. I’ve been feeling valued and appreciated from day one until now. The founders trust me. The autonomy empowers me to bring and pursuit risky, courageous ideas. That engaged me 100%. I originally joined as Director of Strategy. Only 4 months into joining them, they promoted me to Chief Strategy Officer. And recently, they asked me to become CMO. That meant giving me the responsibility to manage the biggest team and budget in the company. Over the last 9 years, I have worked in 5 organizations, and reported to over 15 founders, C-level executives, managers, and directors. That’s how I realized what I value/dislike in a leader or an organization, and what keeps me on a job or pushes me to make a change. I call them forces and I have identified 7 that impact me. They are quite individual so yours could be similar to mine or completely different. I feel that I make an impact on the bottom line — e.g. being responsible for 1/3 of the deliverables to our clients. I deliver something of actual value to real, ordinary people who struggle, not just cold, rich corporations — it’s with empathy for the customer. The company and I deliver things that are meaningful for the team and the customers and related to my purpose. Through my role at Enhancv and through my Medium posts, I help people remember what they enjoy and encourage them to combine it with what they are good at. This journey eventually leads them to getting a job that brings happiness, satisfaction, and meaning to their life, and thus, to mine, too. the organization lacks empathy, decisions are purely business-driven, and at the expense of people. the people around me fail to deliver what they have promised. I have the freedom to decide what to work on that allows me to have the biggest impact. I’m micromanaged, bullied, controlled, policed, or given orders. A manager in a previous company commented on me coming in 5min late for a meeting. That was inappropriate and I felt policed, as I’d often get up for calls at 6am with Australia, which would stretch my work day to 12 hours. A company had dedicated a significant budget to invest in my training and development. When I brought proposals, they found them too expensive. I started questioning if the budget was meant to be spent or just added to make the package attractive. So while that was something that was originally keeping me to stay, it flipped into a reason to leave..
I’m punished for asking questions. Once I asked the team lead in a previous company of mine what the strategy is. They told me to focus on my project and leave the more senior and knowledgeable people worry about strategy. everything we create is well done — this brings me so much joy! I am rewarded with a fair, competitive pay. Although money is not my main driver, it signals if I’m being appreciated and valued, or just taken advantage of. Same for benefits and office space. I feel manipulated in a pay raise/promotion conversation. A company I used to work for lost one of its clients. I saw it as a failure of the leadership to recognize this in advance, as the 2-year contract was coming to an end. Everyone’s salary was decreased by 10–20%. The leadership punished its employees for something they didn’t overlook. Also, I felt manipulated when new clients were attracted, the pay wasn’t restored. Tatiana, our PR, has seen me at my lowest point — in the very moment my heart got broken. She listened to me, she helped me deal with the anger, the disappointment, and the grief. She encouraged me to listen, to ask questions, rather than blame. That helped me be a better person and eventually have a smooth separation, rather than a bad and ugly breakup. the leaders are associated with ambiguity rather than authenticity, clarity, and transparency. I was deeply disappointed by an action of a former employer. I addressed it. They dealt with the situation in a cold, distant manner. I experienced the opposite of authenticity and that was a deal breaker. The trust was lost. Instead, I was asked to put a smile on my face and get back to work. Business always came first, never the people. 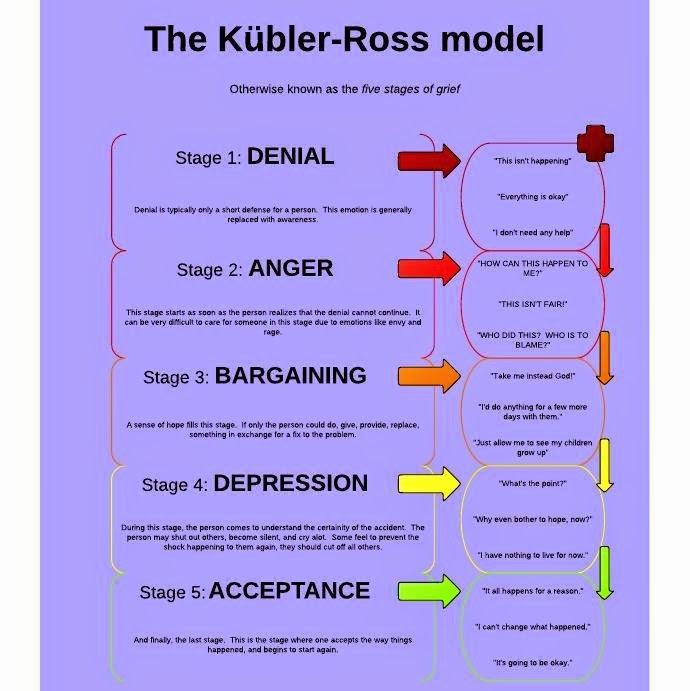 I’m pretty sure I went through each of those 5 stages. I feel proud of the place where I work. E.g. because it’s promising, with potential, prestigious, known for the high quality of its products and talent, and/or gives me international exposure. I can wholeheartedly recommend the company to employees and customers. I am ashamed, embarrassed or disappointed by the company’s ethics and values. I am disappointed by the lack of interest in a certain company or public issues. A company I used to work for failed to show their support for LGBT employees in a country that’s predominantly homophobic. That was addressed by current and past employees, both straight and gay. The PRs ignored it. Employees brought it to the leadership and they made promises. No actions were taken and that resulted in some gay employees leaving the company. Others remained in the closet. Each force has a different magnitude. And its magnitude is not static. It can grow over time. For example, pay can be acceptable today, you tolerate it, it’s okay that they passed you for a pay raise this quarter. But next quarter you are pissed off. You are more ready to leave. The forces are more than just pros and cons. For example, a fancy office is a pro, but it doesn’t act as a force for me. To identify your forces, listen to your inner voice and put things down. Quick exercise: How to identify the forces that impact your decision? Draw a timeline to mark all your previous jobs on it chronologically. Under each job put down what kept you there and what made you eventually leave. That’s how you extract the forces. E.g. If you have listed earlier that the quality of the product is important for you and the product of your current company is mediocre, then put down “mediocre product” under “Problems with a current job”. E.g. If the quality of the product is not just something you factor in, but quite important for you, then you should score it as a 4, maybe even a 5. So next to “mediocre product” write down 4. 4+5+2+2 = 13 points — that’s the magnitude of the forces pushing you towards the new job. 2+3+2+2 = 9points — that’s the magnitude of the forces pushing you towards staying in your current job. The balance in this example is significantly positive and that means the new job in that context looks extremely attractive. The forces and their magnitude are strictly individual. What’s critical for me, might not be important for you at all. The magnitude of a force changes over time. For example, as a young professional, I didn’t care about health benefits as much as I do now that I’m in my 30s. Hope you find it useful to figure out if to stay or leave your job! If you are having a trouble calculating your balance, reach out to me on Facebook. P. S. Here’s some questions you can ask when you interview a CEO/Founder, a fantastic article by Claire Lew. Know someone who keeps telling you how unhappy they are in their job? SEND THEM THIS ARTICLE.